The author has been involved with transplantation almost since it became an established practice and has witnessed many controversial changes. As a professional ethicist and chairing government enquiries he has explored all aspects of the harvesting and use of human tissue. Having conscientiously refused a kidney transplant himself, and witnessed conscientious objection by nurses and doctors, the author aims to improve current practices and to assist people who may make the generous decision to donate relative’s organs and tissues after death or, much more rarely, the heroic decision to donate their own organ or tissue while alive. Others suffer major organ failure and may need help to make a decision to receive an organ or tissue. Some choose to be involved in medical practice or medical research involving transplants. Commercial Biobanks of human tissue have developed rapidly and there are now many tissue products used, not only for medical treatment and diagnosis, but also for cosmetic purposes. There are now trade risks to altruistic donation, loss of equity of access to transplant treatments, rationing decisions, perverse incentives, and efforts to remove the need for consent so as to increase availability of tissue. There have been some major developments in the determination of death. That raises complex religious matters to do with how we understand the soul and the body and life after death and the Churches must revisit the issue. 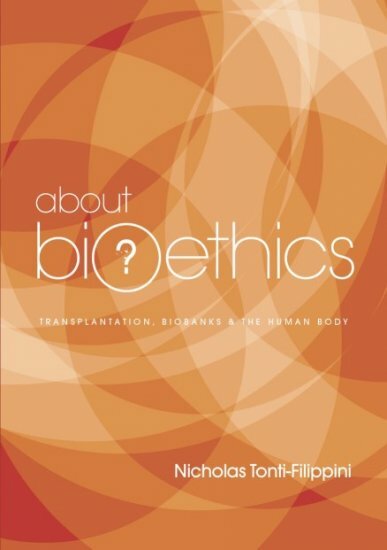 “Dr Nicholas Tonti-Filippini’s book traverses many important issues in Bioethics, both from a secular and from a religious perspective. It is an absorbing and persuasive exposition which is a welcome contribution in a critical field. 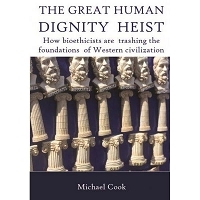 The author sets out to provide arguments which are both cogent and recognise that bioethics is a pluralist system of regulations of biomedical research and practice. 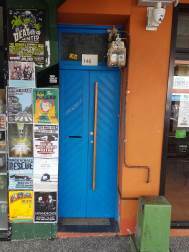 He succeeds admirably.” – Sir James Gobbo, Former Governor-General of Victoria.